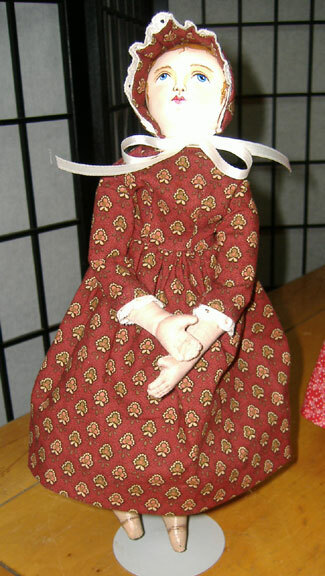 Dresses are made from 100% cotton fabric with reproduction antique prints. A percentage of purchase price went to breast cancer research. Check bottom of page for shipping costs. 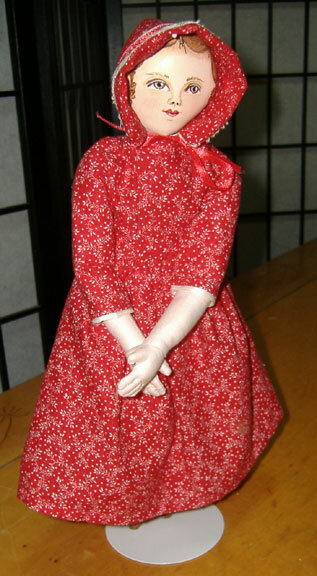 This is the red dress with tiny white floral print. 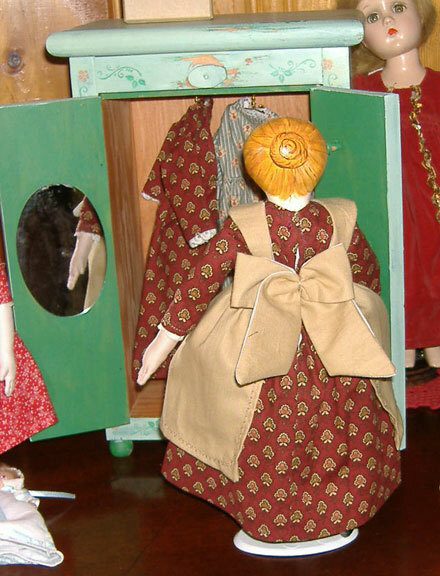 The bonnet is a simple style bonnet with lace and ribbon trim. This is a basic dress with a fitted waist and simple sleeves. 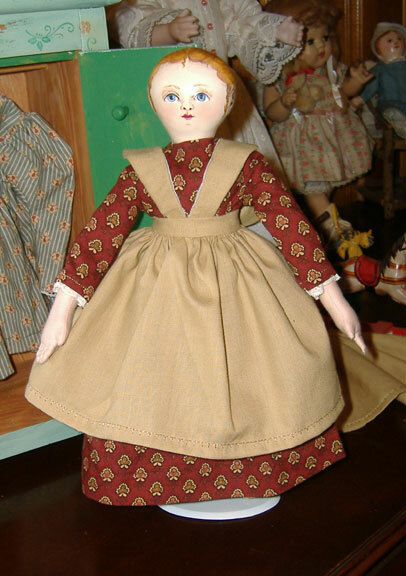 You could have fun adding laces, trims and buttons to make unique to your doll. The dress hooks in the back with metal hook and hand sewn eyelet. Rust colored dress with small gold and tan design. Fitted waist and simple sleeves trimmed in tiny eyelet. 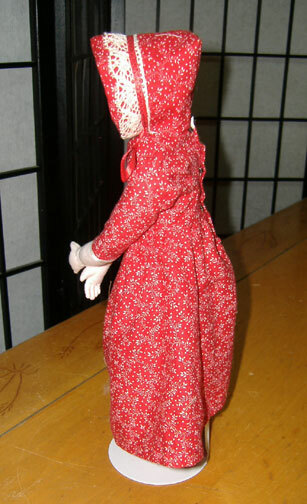 Bonnet is pleated around face with tiny eyelet trim that matches sleeves on dress. Tan apron goes with both the rust dress and the striped green dress. Aprons hooks in back under bow so you don't have to tie and the bow stays nice. shipping costs- for first clothing item add $2.00 to total. For each additional clothing item add $.75 to total.